Seamless tins have rolled edges and are suitable for a variety of purposes such as ointments, candles, lab use, and cosmetics. Labeled tins provide a write-on area. 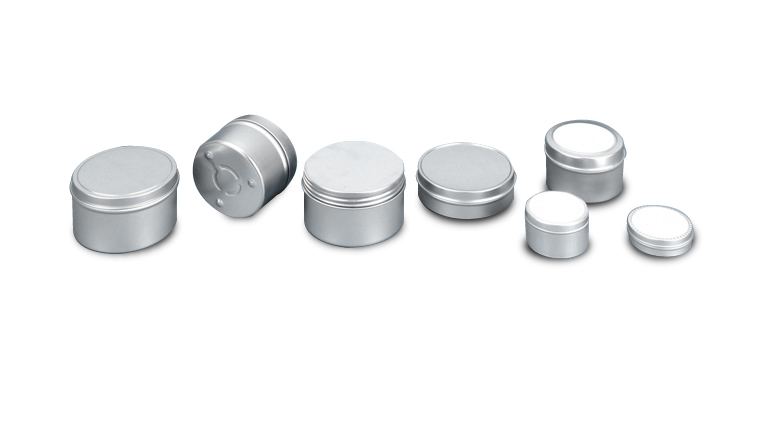 Straight-sided tins are also available in 1 and 3 oz. capacity. These are the preferred choice for some labs requiring easier pouring. Ink cans are available in various sizes. Besides inks, these cans are used for dry mixes, pastes and other semi-solid products.